There’s something to be said for living dangerously. “Bones heal, chicks dig scars, pain is temporary, glory is forever.” Wise words from Robert “Evel” Knievel, who spent the majority of his life in the fast lane. Here at Chive Charities, we also know a thing or two about pushing boundaries. We’re not really interested in what nonprofits are supposed to be like – we focus on the underdogs, the people and causes big foundations and mainstream media tend to overlook. Like Andrew. He looks like he’s hatching a plan here, doesn’t he? 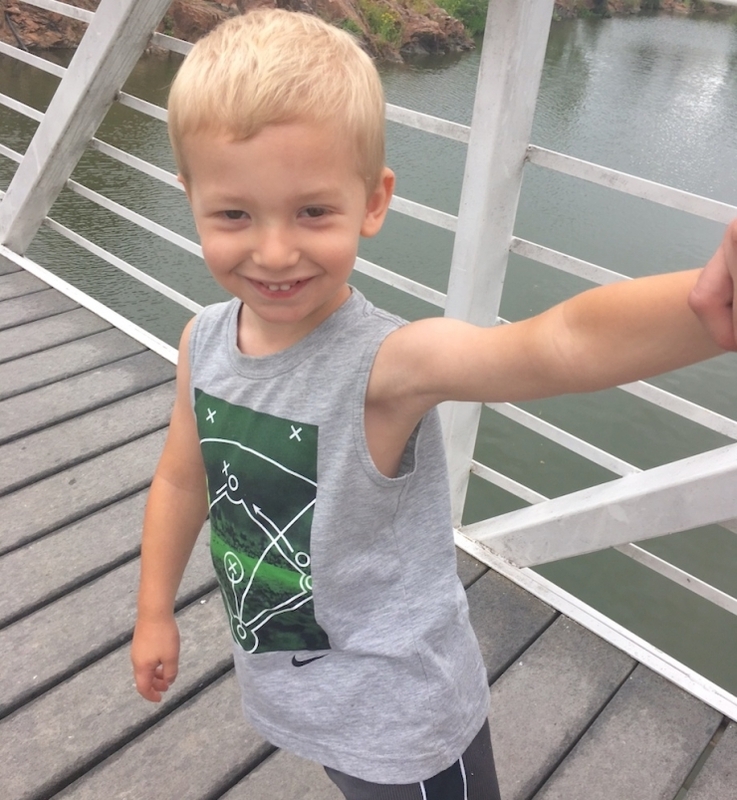 It’s entirely possible that after his mom snapped this pic, he hopped over the railing onto a passing boat and began a new life as a pirate on the high seas. Or not, because he’s only four. But Andrew is a little daredevil – he has Phelan-McDermid syndrome, a super rare and overlooked disease that, among other things, means he has a very low perception of pain or danger. 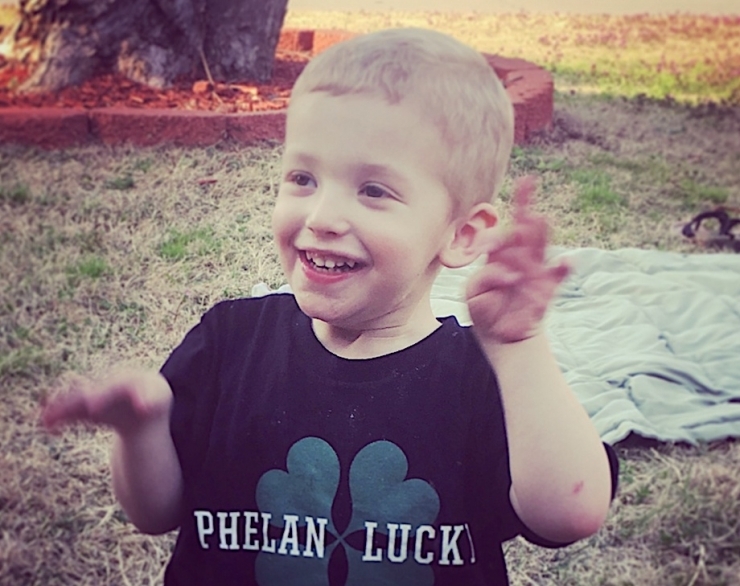 Phelan-McDermid is caused by a deletion in chromosome 22 and affects about one in 500,000 births. 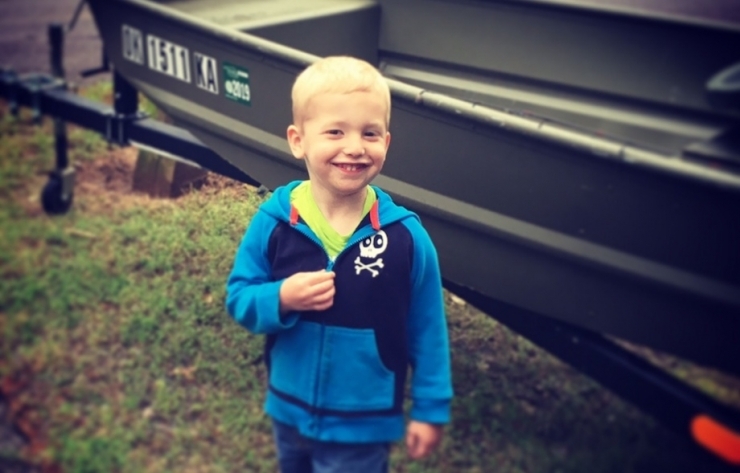 It was obvious something was wrong the day Andrew was born – his blood sugar was low, he couldn’t grasp feeding from a bottle, and he screamed in pain every night. But that was just the beginning. 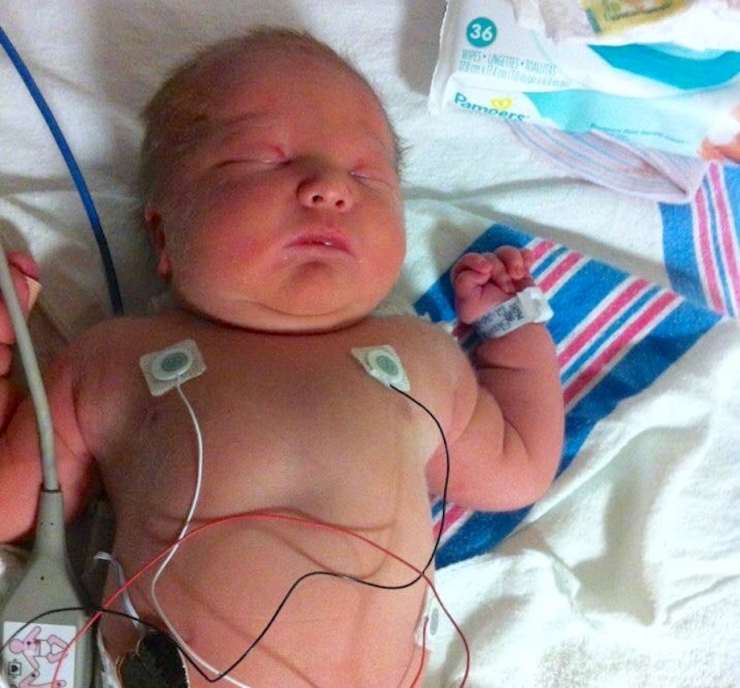 Andrew was diagnosed with silent reflux and started meds to ease the pain. 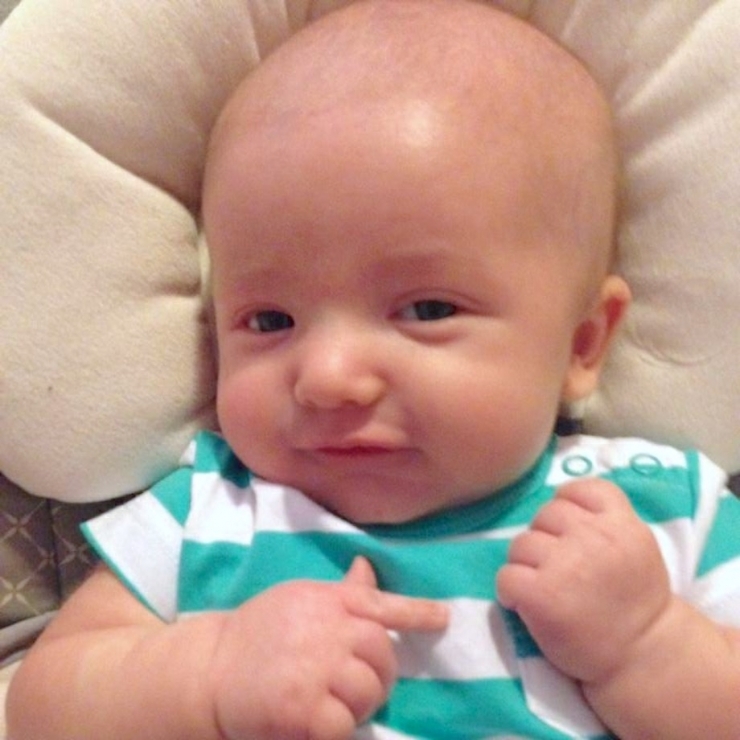 Lots of babies go through this, but the hits just kept coming – he wasn’t making eye contact, lifting his head, or progressing like other babies his age, and his parents were worried. 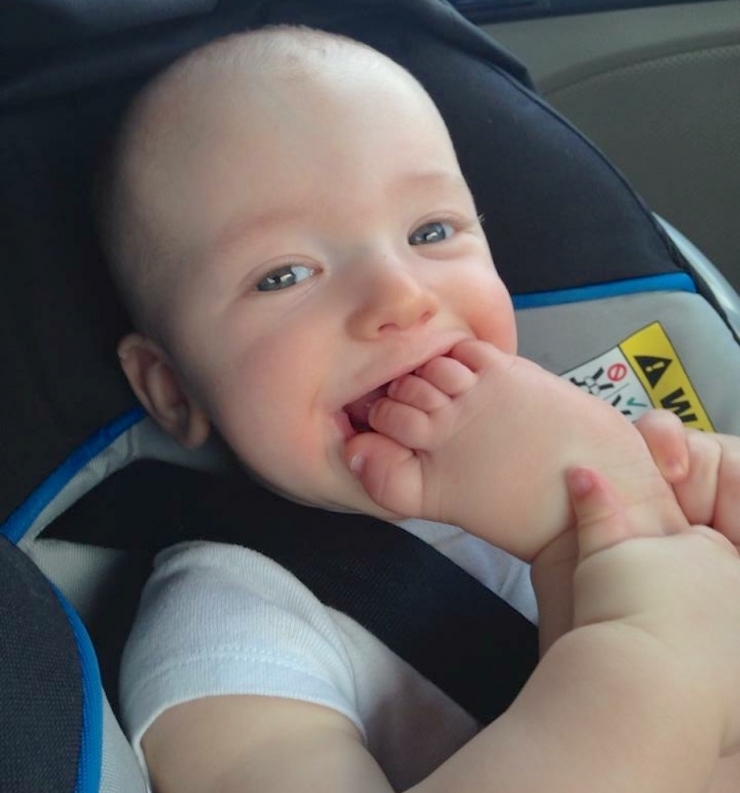 At nine months, Andrew could nosh on his delicious piggies, but he couldn’t sit up on his own or really control his upper body at all, and when he wasn’t walking by his first birthday, his parents started early intervention therapy. Ten months later, Andrew took his first steps! But that joy was short-lived. “We were so worried about him not walking,” Rebecca remembered, “we weren’t paying attention to his speech.” Or lack thereof. Andrew wasn’t saying “mama” or “dada,” or any words at all. It was time to see a neurologist. 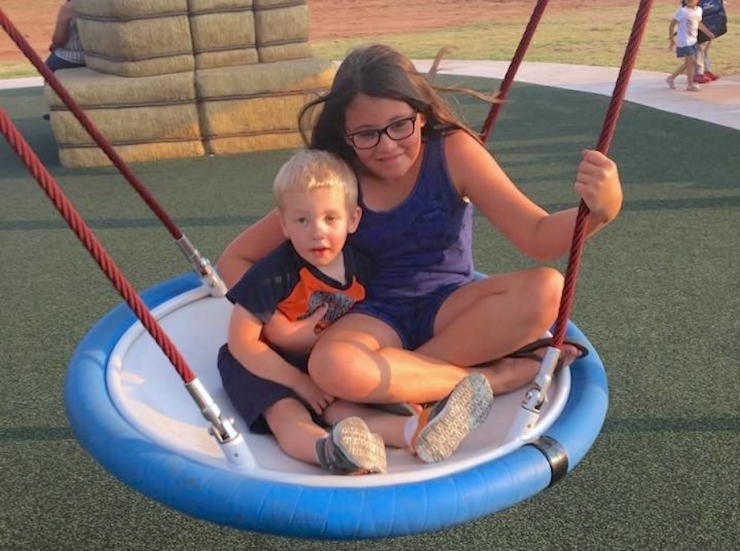 Geneticists at OU Children’s Hospital in Oklahoma City mapped the genetic material in Andrew’s cells to give doctors a closer look at his DNA. 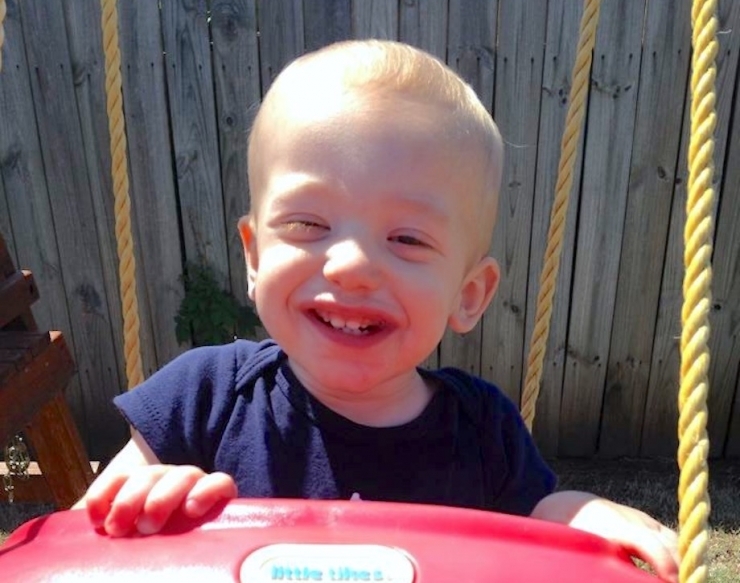 What they found explained his symptoms – low muscle tone, absent speech, motor delays, and intellectual disability – but devastated his parents. It was Phelan-McDermid syndrome, and there was no cure. “It was the worst news we’d ever heard, that our son would be dependent on us for the rest of his life. There wasn’t much else they could tell us; there are only 1,500 cases diagnosed in the entire world, so information is limited,” Rebecca explained. With his delays, Andrew most likely won’t excel much more developmentally, but that doesn’t keep him from pushing on. 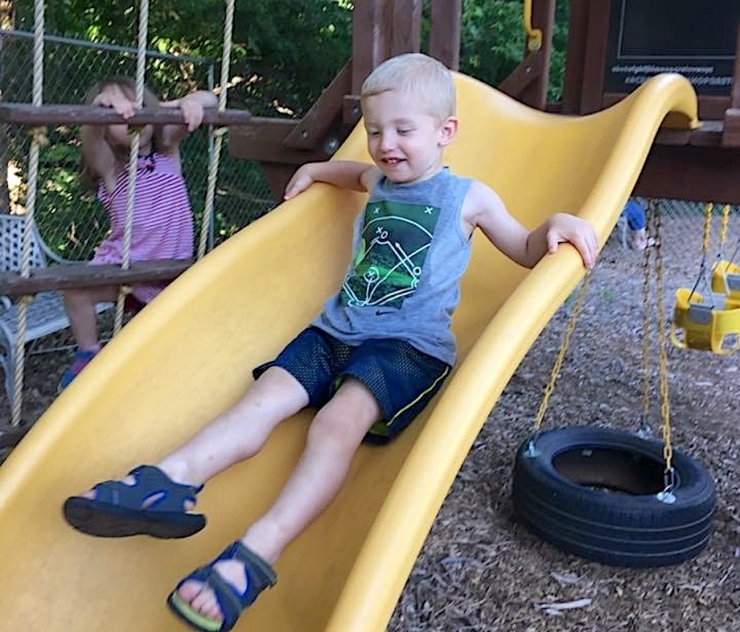 Weekly physical therapy improves his strength, coordination, and balance, and his parents are more than happy to indulge his love for play – basketball, T-ball, and camping are high on the list. Anything physical, according to his mom. 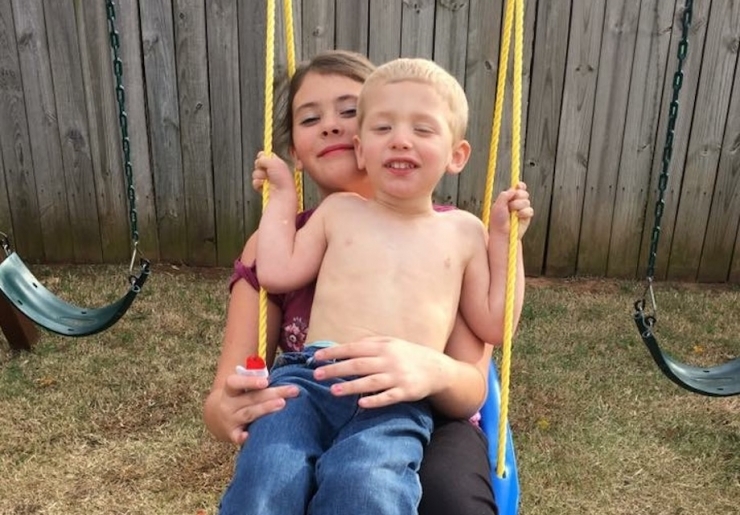 Topping the list is swinging outside with his big sister Heather. It’s their special time, Andrew’s absolute fave. Communication is more complicated. Andrew learned lots of basic signs as a toddler, and he’s learning more every day, but a lot of the time, it’s easier to take his mom’s hand and show her what he wants. And now that he’s getting older, he wants to do more things himself. Totally normal, except for one problem. So, Andrew is learning boundaries, inside the home and out. After lots and lots of practice, he finally mastered going up and down stairs safely. Left right, left right. 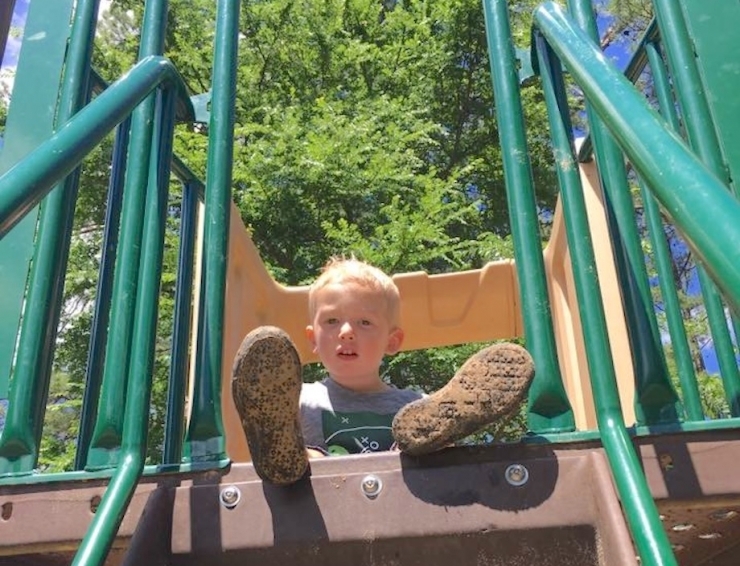 He’s learning to ride a bike, one big lesson in self-preservation, and at PT, therapists are helping him navigate slides and playscapes without risking life and limb. It’s coming along, but we’re not in the business of being patient and following rules around here. “Tell me why a backyard playscape is important,” I asked Rebecca. “Because it’s in the backyard,” she replied without skipping a beat. “We worry so much. Will he run off? Is he safe? Now he can learn and have fun safely.” We’re down with that. 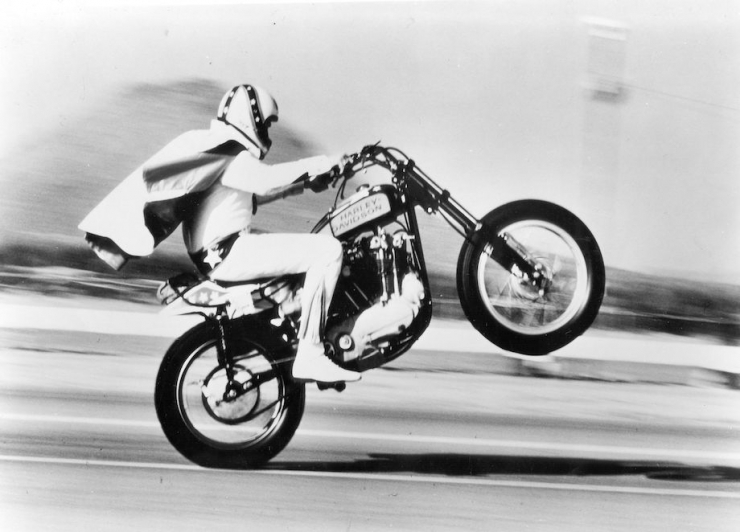 Evel Kneivel is cool, but Andrew’s safety is cooler. The playscape is on it’s way from Missouri and will be up and running at the end of this week. We’ll keep you posted. For many of us, life is kind of simple. 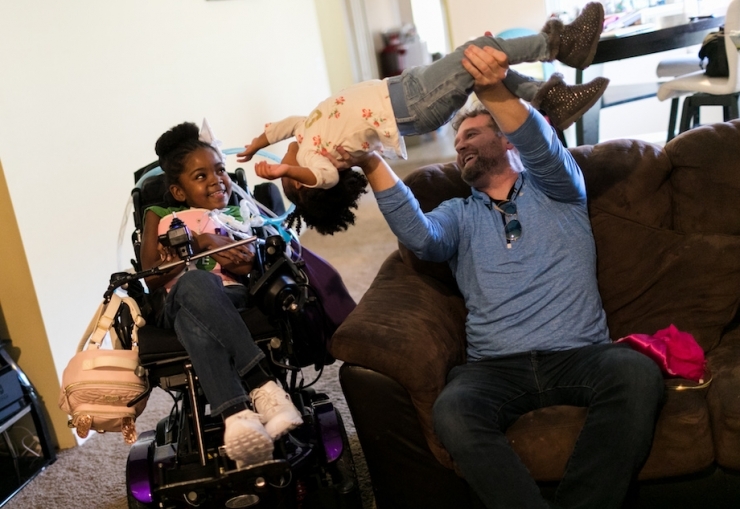 But for families like Andrew’s, every day is a death-defying feat whether they like it or not. We’re committed to making his world 10% happier – and safer – any way we can. Are you? 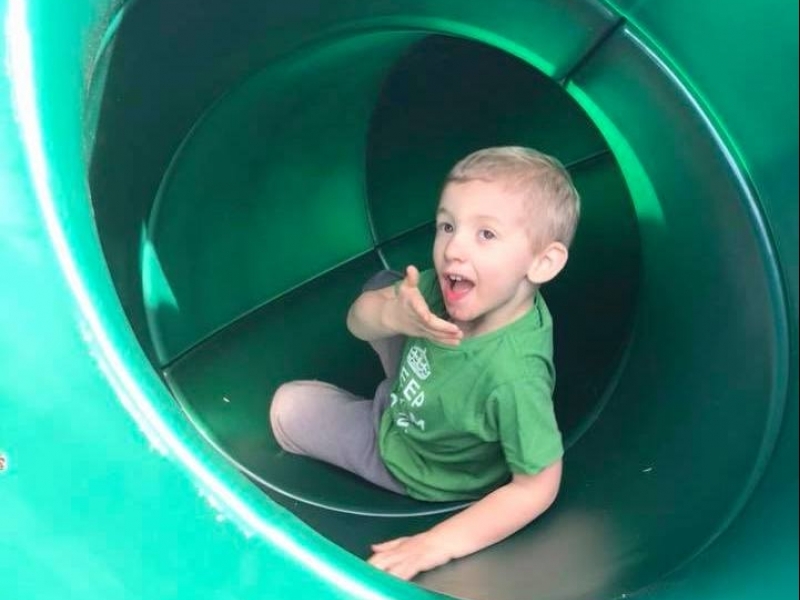 Click HERE if you’re ready to become a Chive Charities monthly donor and help kids like Andrew find the safety and happiness they deserve.